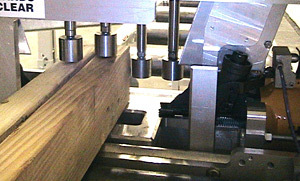 The Hain Sub Component Nailer will speed up your production of wall panel, window, door, and other sub components. With many options available, the SCN can be customized to fit your exact needs and will eliminate cumbersome setup. 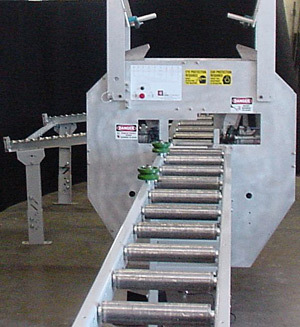 There are no length limitations and the machine will work in "Just-In-Time" or "bulk" production plants. The setup is instant with a multiple position switch, from nailing corners to nailing channels to nailing trimmers or to any other configuration desired. Even a first time user will be productive with little or no training. The fully enclosed SCN is easy to maintain and filling the nail gun is simple and accessible. 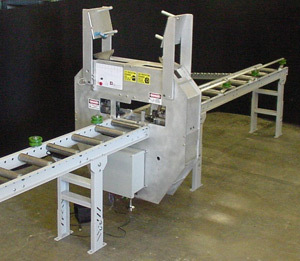 The machine is computer designed and is efficiently built using the highest quality materials. 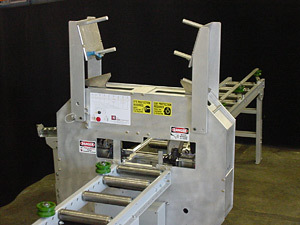 The pneumatic logic and advanced circuitry makes the machine accurate and failsafe. 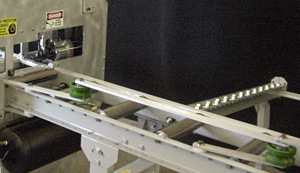 With easy adjustments and a one touch operation using a foot pedal, you will experience a dramatic increase in your productivity while working safely and can be producing sub components within minutes of installation. Currently we do not have any refurbished sub component nailers in stock. Dimensions: Height - 48" Width - 48" Depth - 10"